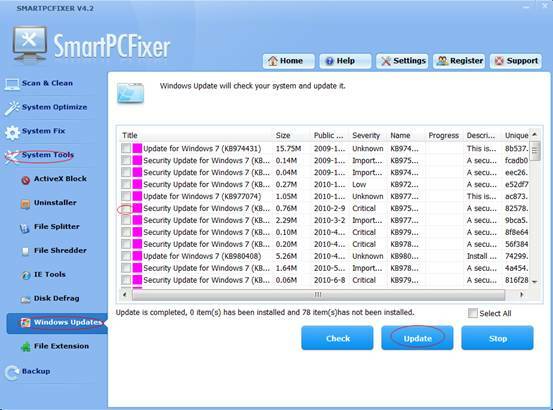 Windows Updates: This function will help you check your system and update it for a stable and healthy PC performance. Click the System Tools button on the left side, and then click the Windows Updates button. Click Check button, and wait. After update is completed, select the items that have not been installed, and then click Update button. If you want to stop update, click Stop button.